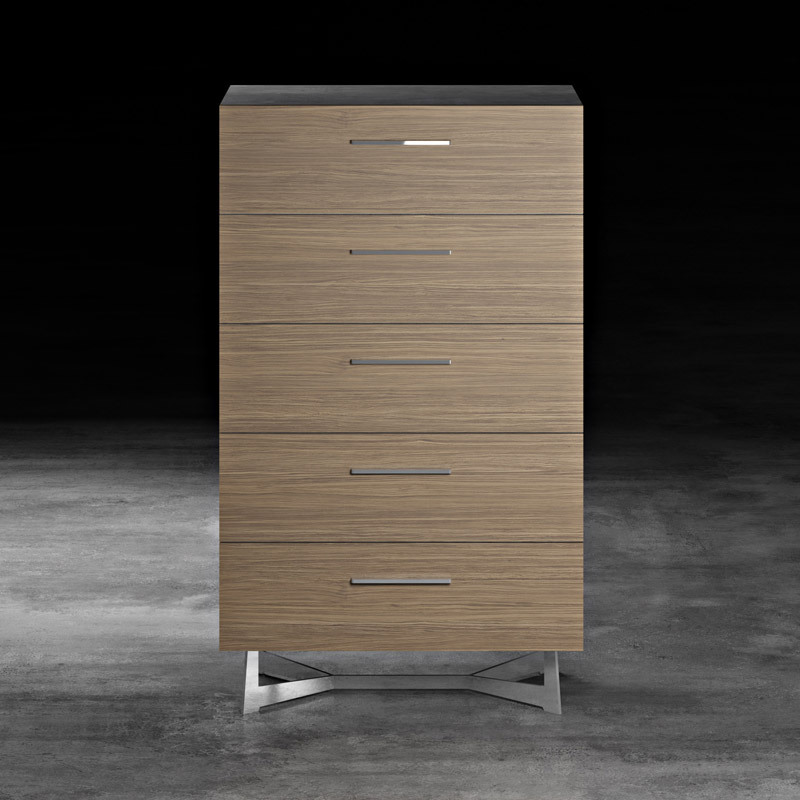 Standing at four and a half feet tall, the Broome Modern Tallboy Dresser has a profile that is at once sleek yet spacious. 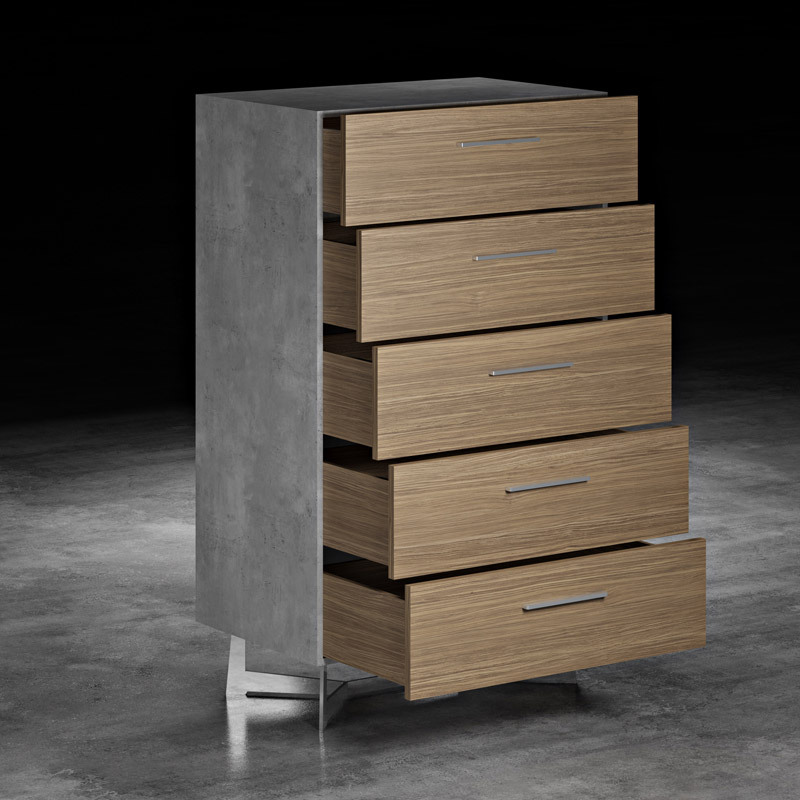 The five latte walnut veneer drawers feature brushed steel drawer pulls and full-extension European-style soft-closing runners, while the distressed concrete shell gives Broome an unmistakable urban appeal. 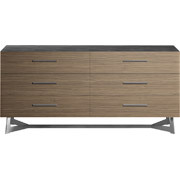 Lift it all onto a set of joined brushed steel legs, and you have a solid, modern walnut dresser for your stylish apartment. 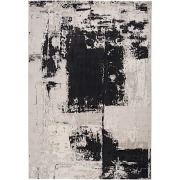 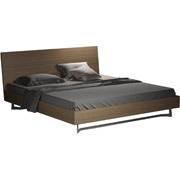 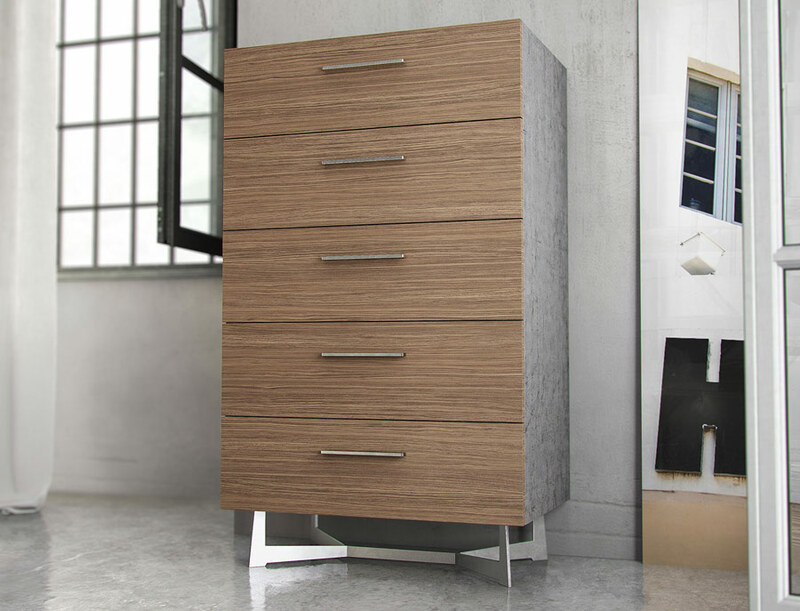 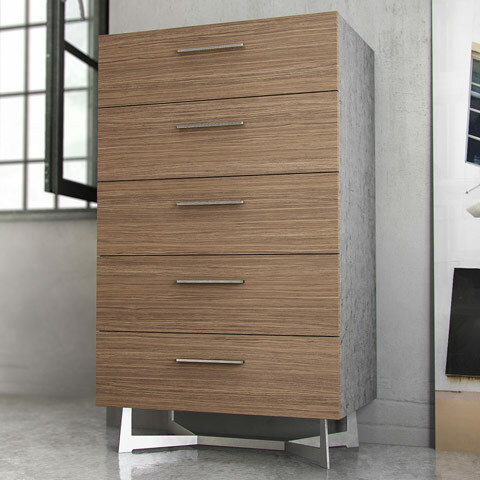 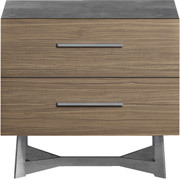 Available in Latte Walnut wood veneer with distressed HPL concrete top and side panels.